The Golden Retriever is playful, eager, alert and self-confident. Extremely friendly, reliable, and devoted, the Golden Retriever is an excellent companion dog. Because they are so friendly to people, Golden Retrievers cannot make good guard dogs - they are "people dogs". They enjoy and thrive on human companionship and must be allowed to interact with people. Besides being an excellent companion dog, the Golden Retriever is also a wonderful hunting dog, tracking dog, and field trial competitor. 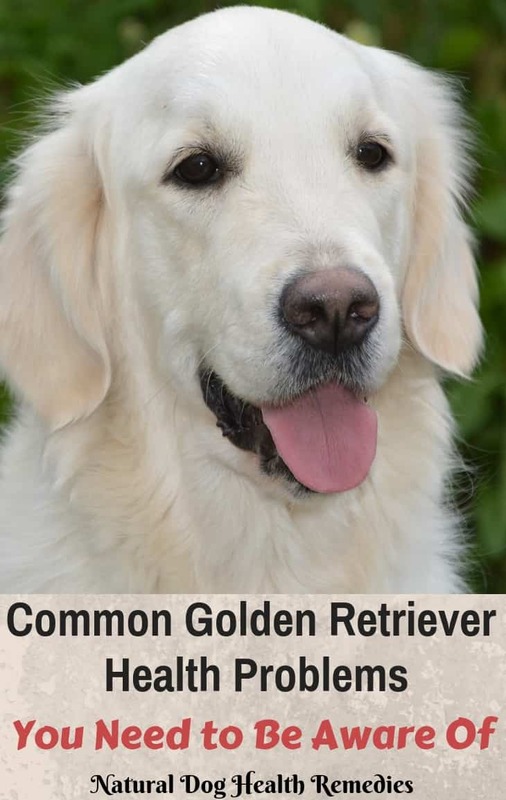 Because Golden Retrievers are intelligent, easy to train, and have a good temperament, they are often used as service dogs such as seeing-eye dogs, and therapy dogs. The Golden Retriever is one of the most popular breeds in the U.S.A.- Ranked 1st most registered breed by the AKC for 2017. The average lifespan of Golden Retriever is between 10 and 12 years. 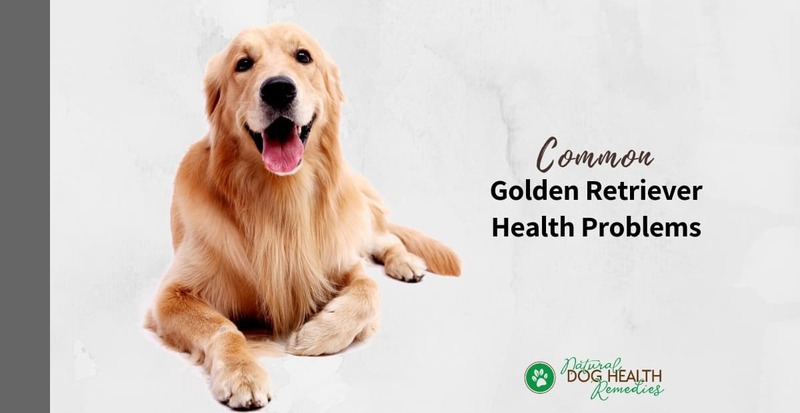 Unfortunately, Golden Retrievers are susceptible to quite a few health problems, especially those health issues that commonly afflict large breed dogs. Hip Dysplasia: Hip dysplasia is basically a deformity of the hip joint. A dog with hip dysplasia has a hip socket that may be too shallow to fully and firmly hold the ball-shaped thighbone. Sometimes, it also means that the muscles, ligament, and connective tissue surrounding the joint may not be strong enough to hold the "ball and socket" together. As you can imagine, hip dysplasia causes a lot of pain (and inflammation) in the affected hip joint, and the dog will have problem walking and getting up with ease. Visit our article on Hip Dysplasia in Dogs for more information on this joint problem in dogs. Elbow Dysplasia: Although elbow dysplasia is primarily a hereditary disease, it can also occur as a result of injury or malnutrition. This joint problem is characterized by the malformation of the elbow joints of the front legs, due probably to different growth rates of the three bones making up the elbow. It is a lifelong problem, which sometimes can be helped by surgery. If your Golden has this problem, you will see an obvious limp, or in serious cases, the dog may avoid putting weight on the affected limp. Golden retrievers are also prone to skin irritations, which are largely due to allergies. Yes, golden retrievers are very susceptible to the development of allergies in response to environmental allergens, such as house dust mite and pollens. Flea and other parasitic infections such as sarcoptic mange (scabies) can also cause allergic-type reactions. Common signs of allergies are itching, sometimes with hair loss; foot licking and chewing, and recurrent ear infections. If you have a Golden who is allergy-prone, feed her a high-quality, natural diet. Also, avoid over-vaccination - vaccinate your dog only when necessary and for the fewest diseases. This can greatly help prevent and manage immune problems, such as allergies. Bloating: Bloating is a common health issue that large breed dogs like the Golden Retriever are prone to. Bloating in dogs could be life-threatening and prone veterinary attention is needed. If you have a Golden Retriever, be sure to read our article on dog bloating for more information. Hypothyroidism: Golden Retrievers are also susceptible to hypothyroidism, a deficiency of the thyroid hormone. Dogs with this disease show an array of symptoms, such as recurring skin and ear infections, joint pain, weight gain, weakness and lethargy, and more. Read our article on Dog Hypothyroidism for more information. Epilepsy: Epilepsy, characterized by seizures, is also rather common in Golden Retrievers. Here is an article on Seizures in Dogs and here's an article on how to use natural remedies to help dogs with seizures. von Willebrand's Disease: This is a relatively common hereditary blood disorder that affects Golden Retrievers. There is a deficiency in clotting factor VIII antigen in the affected dog. As a result, dogs affected by this disease are more likely to have excessive bleeding episodes upon injury. They may also develop nosebleeds or bleeding from the gums. Some dogs may have internal organ bleeding (e.g. the stomach or intestine), and you may see blood in their urine. Heart Disease: Golden Retrievers are prone to heart conditions. One of the most common heart conditions seen in large breed dogs such as Golden Retrievers is aortic stenosis (AS), which is a narrowing just above the aortic valve in the heart. This narrowing causes the flow of blood from the left ventricle to the aorta to be partially obstructed. Because of the obstruction, the heart must work harder to push the blood through the opening and, over time, this can cause problems and even death. Aortic stenosis is not easy to detect, especially if the condition is mild. However, in moderate or more serious cases, you may notice some symptoms when the dog is exercising. For example, the dog may show low exercise tolerance - he may seem to run out of steam, or he may even faint due to inadequate blood supply to the brain. Restricting the amount and intensity of exercise is necessary for Goldens with moderate to severe AS. Recommendations for Your Golden Retriever! This supplement contains glucosamine and MSM and is effective in supporting mobility and joint health in dogs. This is an effective herbal formula that contains nerve-calming and nourishing herbs such as chamomile, ginseng, passion flower, St.-John's wort, valerian root, etc. It greatly helps dogs with epilepsy. Golden Retrievers have long double coats of an outer hair and an under coat. The thick coat may become matted unless groomed twice a week. Goldens shed throughout the year with increased shedding once or twice a year. This excellent tool helps to control shedding by removing the loose and dead undercoat hair, without damaging the topcoat. Highly recommended!